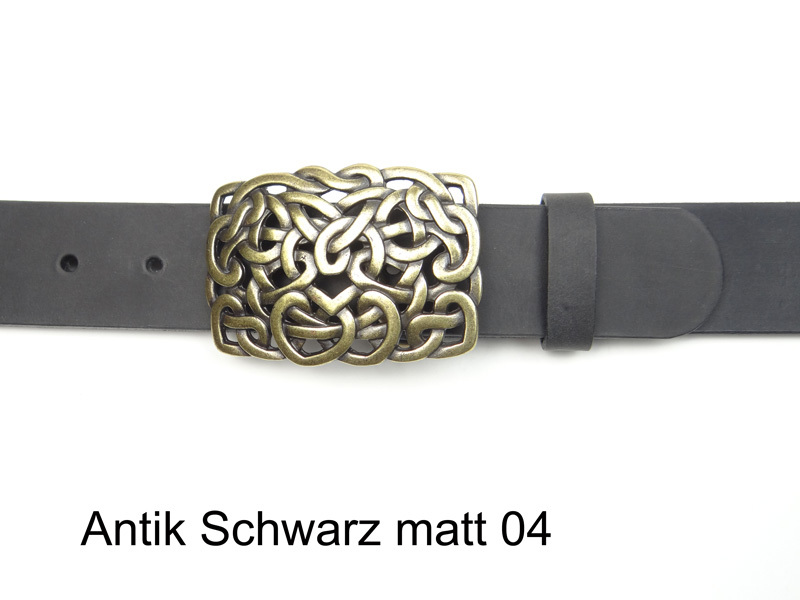 celtic buckle with leather belt available online. 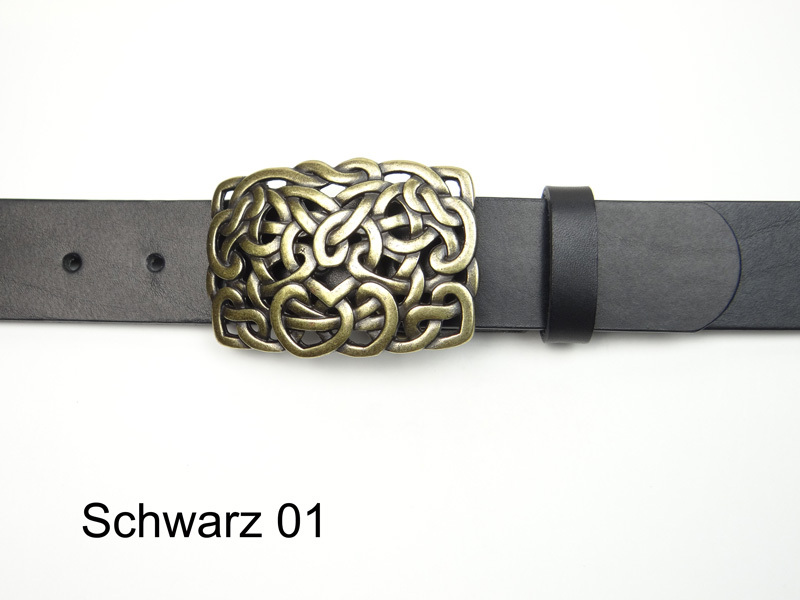 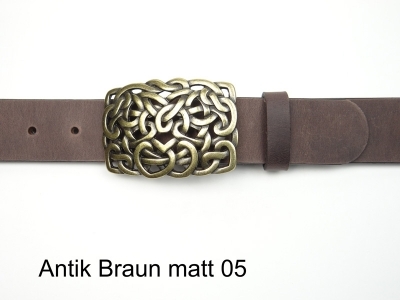 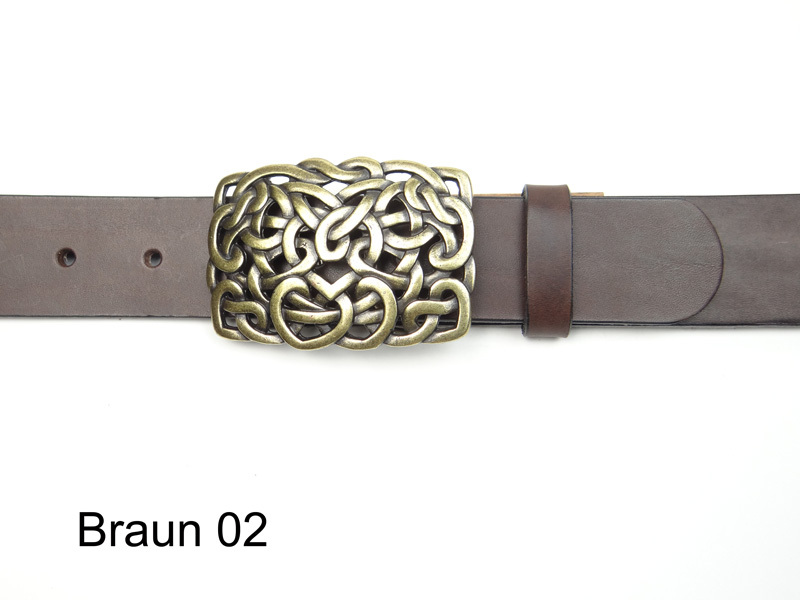 Leather belt with rectangular celtic design buckle in antique brass coloured finish. 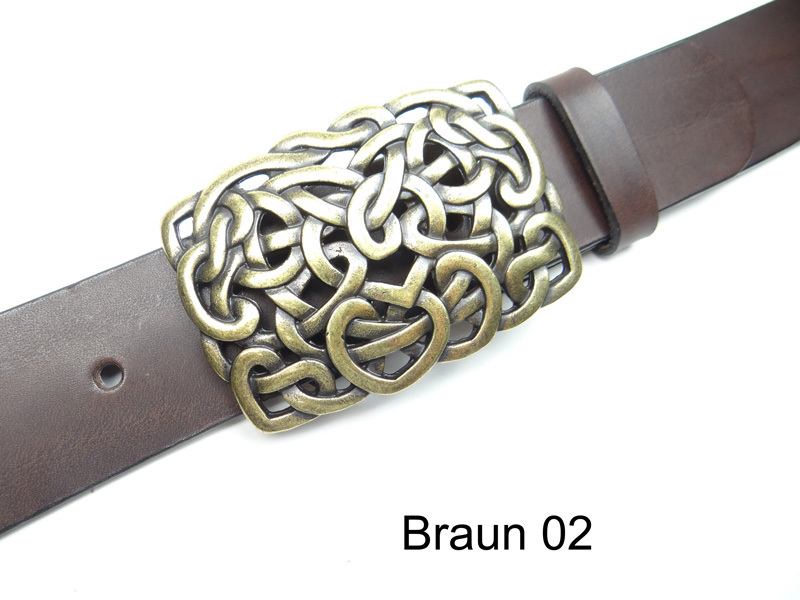 This version of the celtic knot is filigree and nicely crafted. 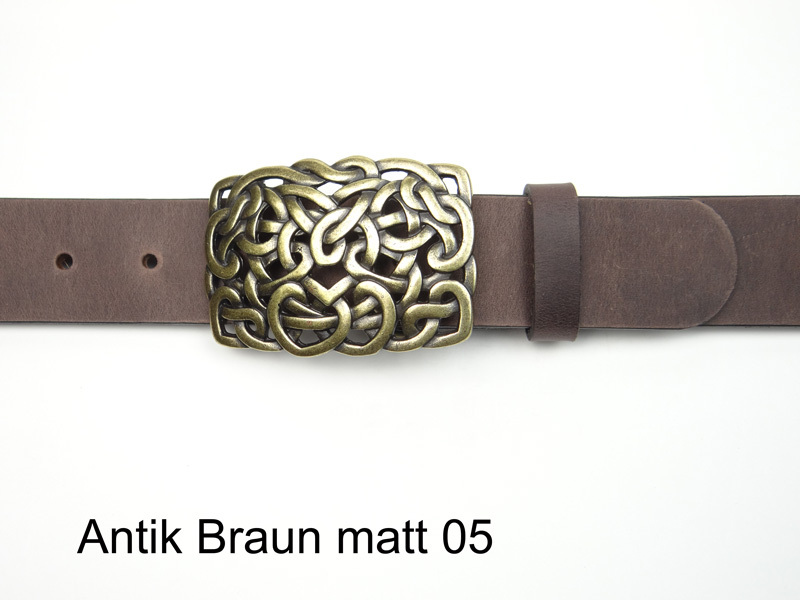 Available in 5 strap colours and all sizes. 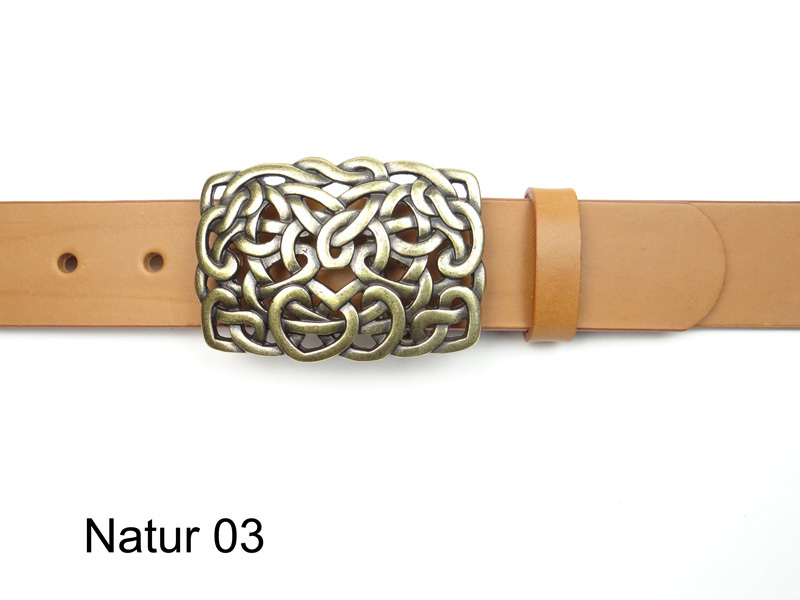 We produce our belts from naturally tanned and through-dyed saddler quality cowhide.